Every photographer is an artist. Make sure your tastes are similar to the Whiteman Air Force Base, MO photographers you are contacting. 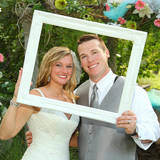 WeDJ.com's directory contains thousands of photographers throughout the USA and local Whiteman Air Force Base, MO photographers to choose from. Additionally, many of our listed photographers have online portfolios that can be viewed prior to contact. Look for Photographers that have customer reviews integrated into their listing. Many Photographers use the online surveys provided in their Gigbuilder accounts to showcase their past client's reviews. Use our simple checklist below to aid in search for the best Photographers for your Whiteman Air Force Base, MO event! Our vast directory of Whiteman Air Force Base, MO Photographers contains information, phone numbers, portfolios, and websites of Photographers near Whiteman Air Force Base, MO and the Whiteman Air Force Base, MO area. Use our tools to create a Whiteman Air Force Base photographer shortlist. Use our tools to instantly check availability of photographers near Whiteman Air Force Base, MO. Each thumbs up icon denotes an instant availability since these members use Gigbuilder availability checkers powered by WeDJ.com There is no need to spend hours needlessly contacting numerous companies that may not be available. Most Whiteman Air Force Base, MO photographers have numerous packages which may include negatives, digital copies, albums, time, and more. Each Whiteman Air Force Base, MO photographer will have varied amount of experience which also should be considered in the final quote. Your Whiteman Air Force Base, MO Photographer should require a signed contract before they will work an event. Ask questions and make sure to fully read the terms and conditions before signing. Don't be afraid to ask to add or remove items. After all, its YOUR Whiteman Air Force Base event!